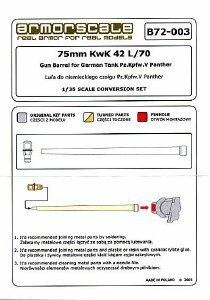 Armorscale set depicts the gun barrel of German WW2 75mm gun KwK 42 L/70 as used on Panther tanks. 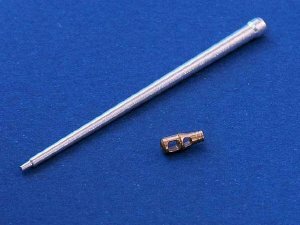 It is not dedicated for any specific 1/72 scale Panther kit, at least no such information is provided on the label or in instructions. This means that some trimming of kit parts may be needed to install the barrel if you happen to choose a model from different manufacturer that the one used by barrel designers. The set comes in a small plastic zip-bag with a piece of protective cardboard, tiny instruction sheet and another smaller zip-bag inside containing aluminum barrel and brass muzzle brake. 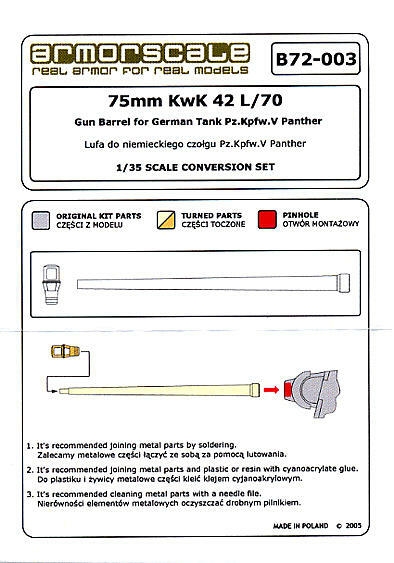 Instruction sheet shows proper assembly of the barrel parts, although it is so simple that there is no instruction needed. 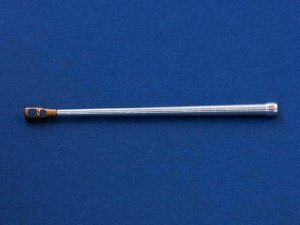 Turned aluminum barrel is quite smooth with barely visible marks left by the tool and brass muzzle break is very nicely detailed. The fit of brass part to the aluminum barrel is a bit too loose and muzzle part has some play after assembly. This means that gluing (or soldering) has to be done very carefully to make sure that parts are properly aligned. Armorscale set should significantly enhance the look of small scale Panthers and save a modeler some tedious cleanup process. 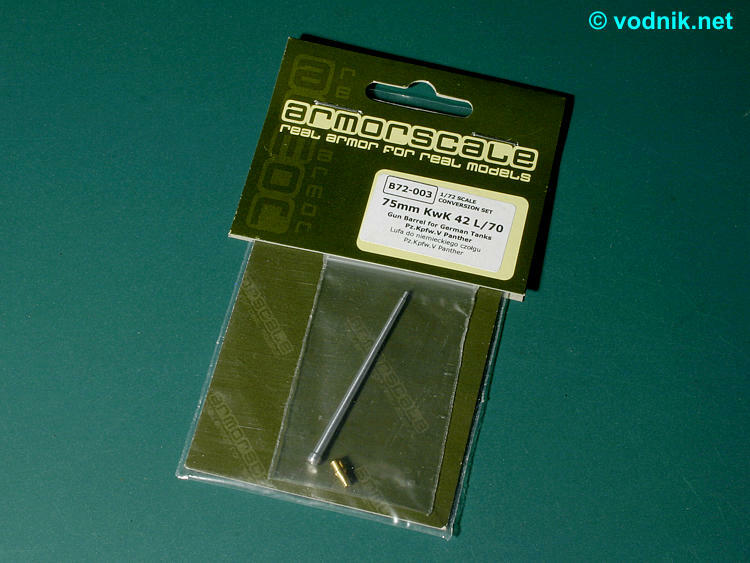 Many thanks to Armorscale for the review sample!